This roasted apricot whole wheat farina is the perfect way to start the day! Sweet roasted apricots on top of whole wheat farina and a sprinkling of pistachios. 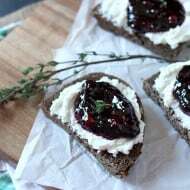 Say goodbye to boring breakfast! This post is sponsored by Bob’s Red Mill. As always all opinions and thoughts are 100% my own. This breakfast dish is the elevated dish of my childhood. It’s got all that creamy cereal goodness but with a few minor changes. This time around I roasted off fresh fruit (no weird fruit goo packets!) and used whole wheat farina instead of the usual cream of wheat. Since it’s apricot season I decided apricots were 100% the way to go. 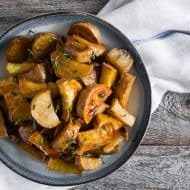 I think the beauty of this recipe is that you can use and roast just about any fruit you love – strawberries, blueberries, peaches or even apples! The addition of thyme just makes the apricots a little fancier. PLUS I’m a HUGE fan of thyme because I think it’s downright delicious. A few years ago I grew my own thyme and I used it in errrrrything. It showed up in my breakfast, lunch, dinner, dessert and even my cocktails! Now, back to this delicious breakfast dish. Because I used Bob’s Red Mill whole wheat farina you get more a “nutty” taste and feel to this farina. It’s technically not as creamy as typical white wheat farina but I really like the added texture. Like I said, I really feel as though this dish is the grown-up version of my childhood breakfast. Oh and I forgot to mention the best part about this roasted apricot whole wheat farina – it’s ready in JUST 30 minutes! Plus because it’s whole wheat it’s a good source of iron and fiber! In a small bowl add apricots, dark brown sugar, honey, vanilla bean paste, cinnamon and sea salt and stir to evenly coat. Pour out onto the parchment and bake for about 15-20 minutes just until soft but still holding their shape. You want them to be soft but not mushy. Add thyme leaves and gently stir to combine. In a small saucepot add 3 cups of water and place over high heat. Once the water starts boiling add in the farina. Turn down the heat, cover and simmer for 10 minutes. At this point the farina should be thick and delicious. If it's still too watery just let it cook a bit longer. Remove from the heat and stir in dark brown sugar, cinnamon and cardamom. 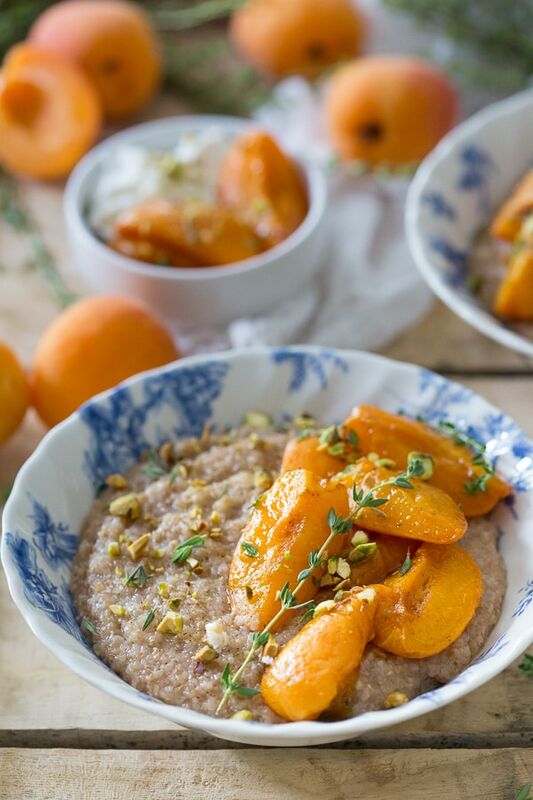 Split the farina between 4 bowls and top with equal parts roasted apricots and pistachios. Top with additional dark brown sugar, maple syrup and honey if desired. I think roasted apricots are the most amazing things, the flavor is so intense! 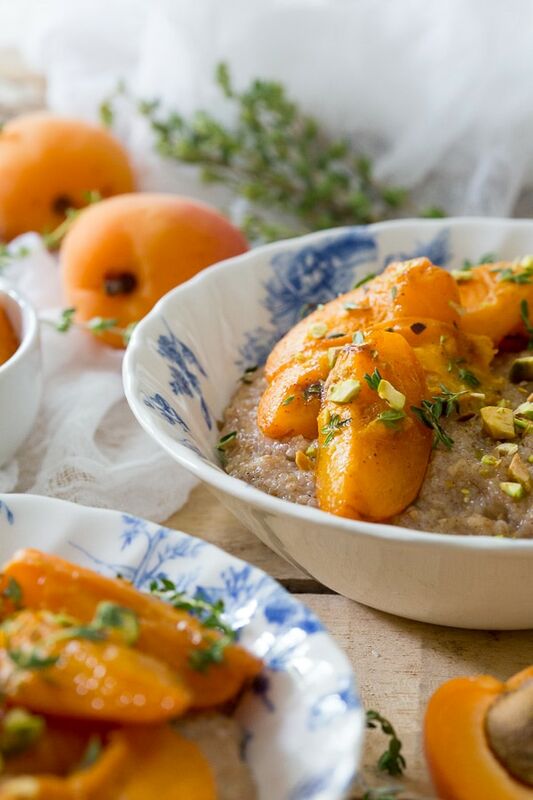 I absolutely love apricots – I just found out they are starting to be ‘in season’ so I’ve been thinking of all the different ways I could use them – and with farina, YUM, definitely the way to go! I used to eat farina as a kid (my mom was super cool and into weird grains) but haven’t had it since, I’m totally intrigued by whole wheat farina and am going to go buy some because I love Bob’s! I grew up loving cream of wheat too! And it is still my dad’s favorite. The last time we visited him, my kids topped theirs with canned peaches–so I know this would be a total winner! I will have to try farina. I love your mix of sweet and savory. This is a breakfast I would swoon for. Oh I’m so glad it is apricot season! This looks lovely! This is absolutely gorgeous, Brandy! We love farina, and I love how this makes it so much fresher! This looks like a delicious way to start any day! I grew up loving cream of wheat, too, but didn’t know there was a whole wheat equivalent–cool! Also cool to realize that it’s becoming apricot season–summer is just around the corner!!! This is such a beautiful breakfast bowl! I’ve never had farina before, but I’ll be testing it out as soon as apricots hit the stores here! What a heavenly breakfast! I was always a Quaker Oatmeal gal over Cream of Wheat, but this sounds like an awesome alternative that grown-up Karyn might enjoy. Love the grilled apricots! Roasted apricots sound so delicious!!! Your version here is so, so pretty, and I love the thyme! Gorgeous breakfast! I’ve never thought to roast apricots! I also grew up on cream of wheat, this version looks amazing! You just took breakfast to a whole new level for me! 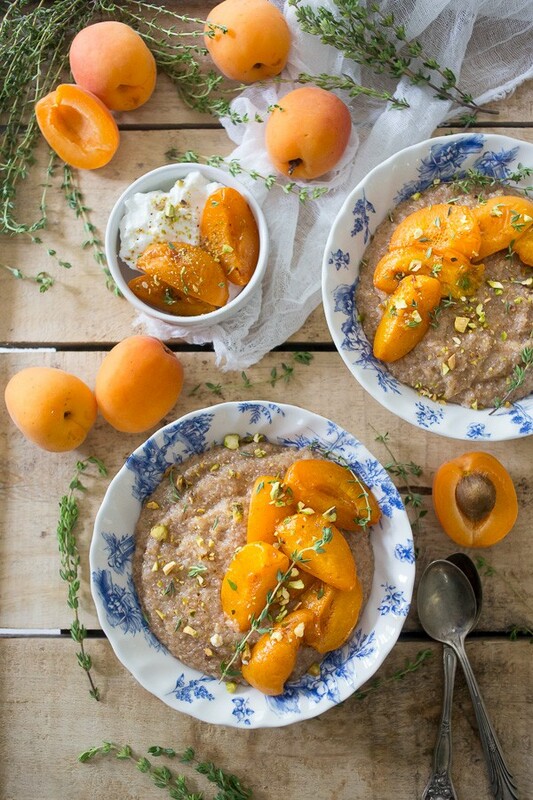 Wow apricot season is still a ways off here–but what a great way to serve them! The roasting must concentrate the flavors so nicely! 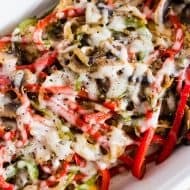 This sounds so wholesome and delicious, I absolutely love the warming flavors in this! How I would love a bowl for breakfast right now. Looks so hearty and just so pretty. 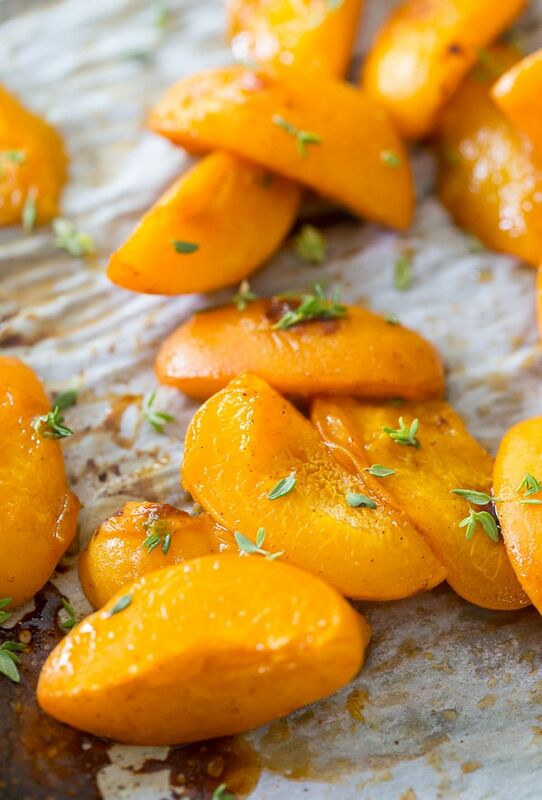 Those apricots are perfect to have even for dessert at the end of the day…they look so juicy!! Such a healthy and delish breakfast! I grew up eating farina, this is so my kind of breakfast! I need to go find some apricots, I hardly ever buy them but found some last year at TJs and they were amazing! Oh my gosh – I’d forgotten all about those goo packets! Aaaah, memories. Although I liked those, I’d LOVE this – it looks incredible. It’s apricot season there?! I have to wait until August! Ugggh. I don’t even know what cream of wheat is but I can say that I’m 100% sure I’d rather have this. It looks incredible and so much better than anything that comes with a flavor packet. And I love me some Bob’s Red Mill! ROASTED APRICOTS?! This is a total game changer! They are one of my favorite fruits, and this looks like dinner! Oh my gosh! I use to love that cream of wheat with the flavor packets! I mean I was totally in love with it haha. This version is way, way way better looking! Isn’t it funny the things we ate as kids? I ate lots of oatmeal packets — Farina always seemed so exotic to me. 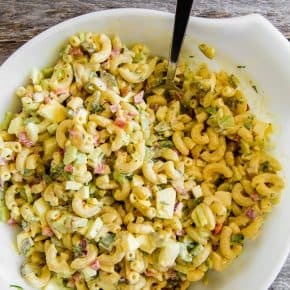 Loving this grownup take on your childhood favorite! This looks utterly amazing. I love that you used apricots in this. Brilliant. The roasted apricots are pure perfection!!! And so dang pretty!! This is one seriously gorgeous breakfast! 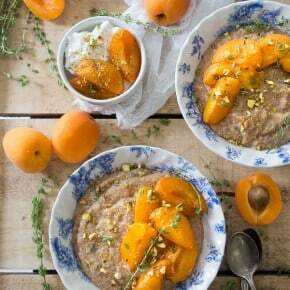 I can’t think of a better way to elevate farina than by topping it with roasted apricots.